The weather is (finally!) starting to cool down and Fall is on its way! I absolutely love this time of year - it means scarves, hoodies and making homemade soups. I absolutely love using the slow cooker, and my appreciation of this appliance has continued to grow since baby was born. 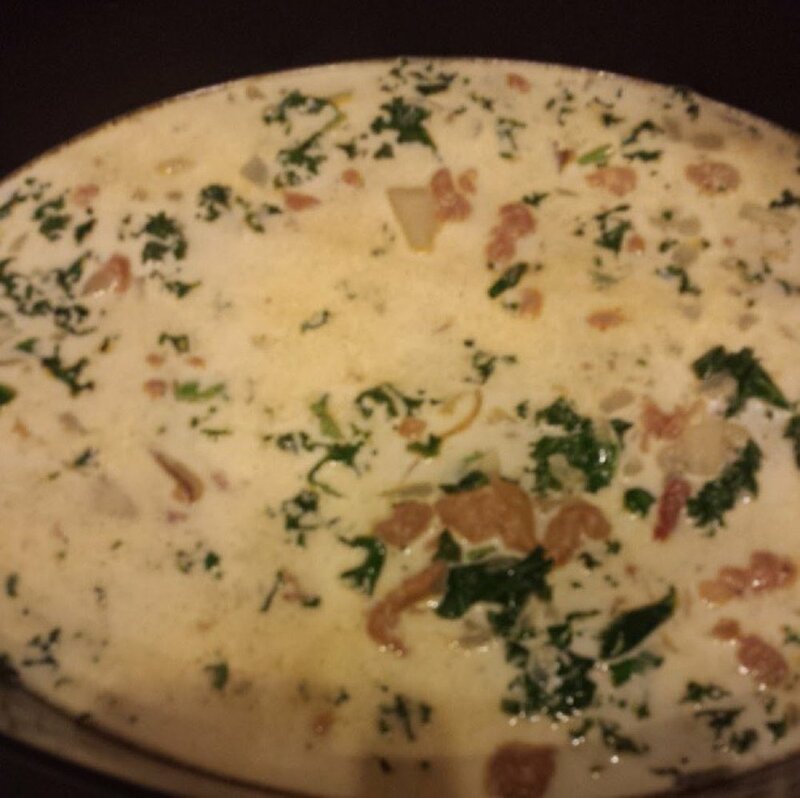 One of my favorite dishes to create in the slow cooker is a copycat of Olive Garden's Zuppa Toscana. If you aren't familiar with this soup, it's a hearty dish featuring Italian sausage, potatoes and kale and it's really delicious. Let me add that we are not normally big fans of kale, but it is really good in this soup. However, you can substitute Swiss chard or spinach if you prefer. It had been years since I'd been to Olive Garden, because once I learned this recipe, I didn't have any reason to go. Although, I suppose it would be nice if I had someone bringing me bottomless breadsticks while I ate - that is really the only thing that would make this recipe better (it's that good)! While I was pregnant, we went to Olive Garden for endless soup, salad and breadsticks and their version of this soup wasn't quite as good as I remember. You can top with shredded Parmesan if you'd like, but it's not necessary. Serve in bowls with warm French bread and ENJOY! !